November has been an incredibly busy but successful month and we would like to thank all our Community Volunteers for getting so involved! Emma lost her Grandad to pancreatic cancer and has been an active PCA Community Volunteer since 2017. 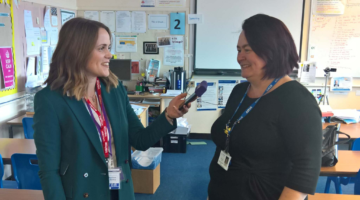 This year, she has helped spread awareness of the disease by distributing our pharmacy packs to her local pharmacies, gave a brilliant radio interview to Heart FM Wales and also TV interview to ITV Wales! Zoe lost her mum to pancreatic cancer just five months after being diagnosed. She has been a PCA Community Volunteer since 2016 and was extremely busy this November! She gave a radio interviews to BBC Radio Humberside and Lincs FM, got involved with organising a fundraising Pilates event with Brigg Inner Wheel and held an awareness stand at Brigg Garden Centre. Barry became a PCA Community Volunteer in 2017, after losing his wife to pancreatic cancer in 2016. 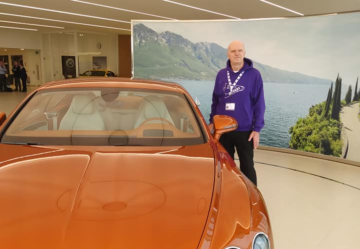 Barry has been very busy this year organising for various buildings including the Anderton Boat Lift to take part in our Purple Lights Campaign, has held numerous awareness stands within his local community and former employer, Bentley Motors. He’s also been encouraging his local pharmacies to take part in Turn It Purple Campaign! Jean lost her brother to pancreatic cancer in 2014 and, like so many, had no previous knowledge of the disease. She made a promise to him that she would raise awareness and fundraise to make a difference to future sufferers. In 2014, she became a PCA Community Volunteer and hasn’t looked back since! For awareness month this year, she arranged for various buildings in Tavistock to be lit up purple for our Purple Lights campaign, including Smeaton’s Tower in Plymouth. 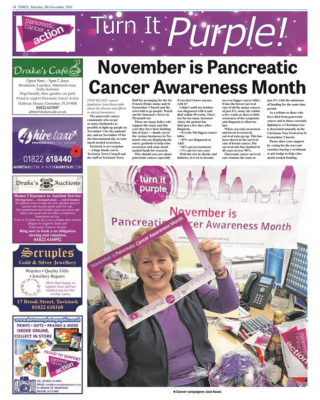 Her office is always actively involved in Turn It Purple and this year Jean was also featured in The Tavistock Times in recognition of all the hard work she’s put into fundraising and raising awareness with the local community! After a bleak five-month battle, Gillian lost her husband to pancreatic cancer a week after his 54th birthday. Gillian became a PCA Community Volunteer in 2015, determined to make sure others didn’t have to experience what her and her husband went through. This November, she has helped organise a fundraising dinner and raffle, raised awareness of pancreatic cancer at Ossett’s 1940s event, held a wreath making event and even a sponsored head shave! 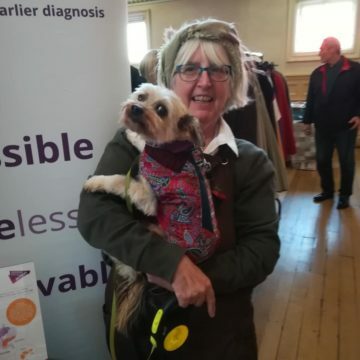 Gillian is behind Loud Shirts for Pancreatic Cancer, which involves dressing her cute little sidekick dog Rocky in a different vibrant shirt each day during November! David became a PCA Community Volunteer in 2014 after sadly losing both his mum and his brother to pancreatic cancer. The families fund, Action for Patricia and Paul has raised over £20,000 for PCA and they continued their hard work this November. 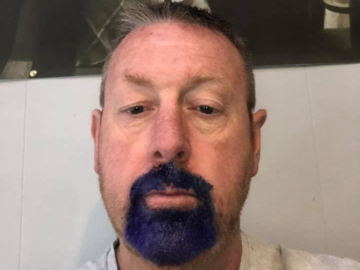 David dyed his beard purple again and has been busy raising awareness within his local community. Jess is one of our newest PCA Community Volunteers. 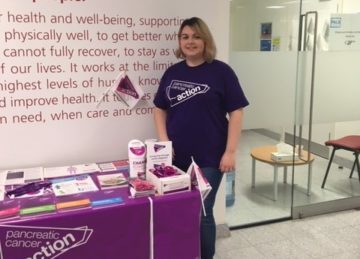 She wanted to get involved with raising awareness after losing her uncle to pancreatic cancer just 13 weeks after being diagnosed, at the age of 44. During November, she created a Facebook fundraising page and raised well over £1,200 in a matter of days! Jess also held an awareness stand with her Nan to not only raise awareness but to help fundraise within her local community. Lorna became a PCA Community Volunteer after sadly losing her sister to pancreatic cancer in 2012. During November, Lorna has been busy organising many buildings to be lit up purple as part of the Purple Lights campaign. 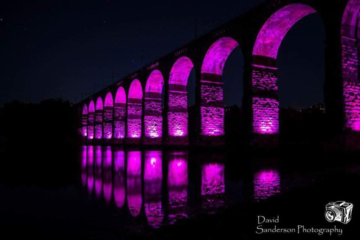 She has successfully gotten both the Reverend Brown of Stockbridge Church, Edinburgh and the Royal Borders Bridge lit up purple! Both of these looks absolutely stunning in the dark. Sandra became a PCA Community Volunteer after sadly lost her husband to pancreatic cancer in 2012. 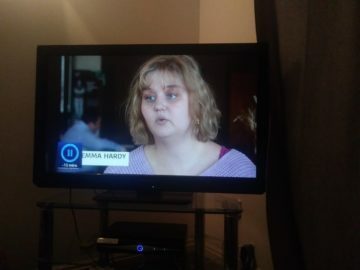 She regularly sets up fundraising and awareness stands in her local area, as well as arranging larger fundraising events. She also supports many other patients and relatives affected by pancreatic cancer. 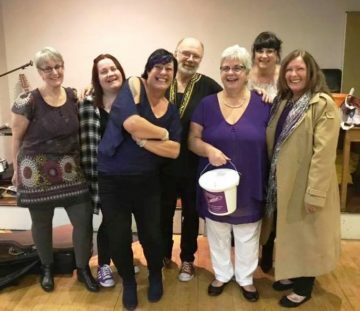 With the help of fellow PCA Volunteer, Andy Mckay, Sandra organised a charity fundraising gig which raised over £800! A number of the other PCA Community Volunteers also attended to show their support for Sandra and Andy. Andrew lost two of his life-long, childhood friends to pancreatic cancer and after watching the suffering they both went through, he decided to get involved with raising awareness of pancreatic cancer by becoming a PCA Community Volunteer. 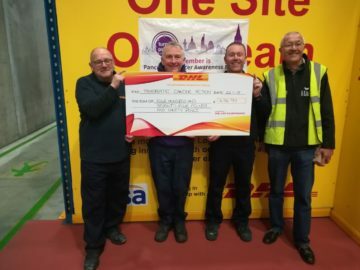 Andrew held an awareness day through his employer and raised nearly £500! He also runs the Brigg Pancreatic Cancer Group, which fundraise and spread awareness within the local community, and raised nearly £400! Thank you so much to all our PCA Community Volunteers that got involved with awareness month whether you held a charity dinner, spread awareness through Facebook, held a head shave – we cannot thank you all enough! Without your involvement, we wouldn’t be able to do the work that we do. Previous Article Take Action this Christmas! Next Article Are you taking part in DryJan4PanCan?